Blazing Star (Liatris graminifolia) is a common wildflower of prairie and grassy areas. Indeed, "graminifolia" is latin for "grass-leaved." 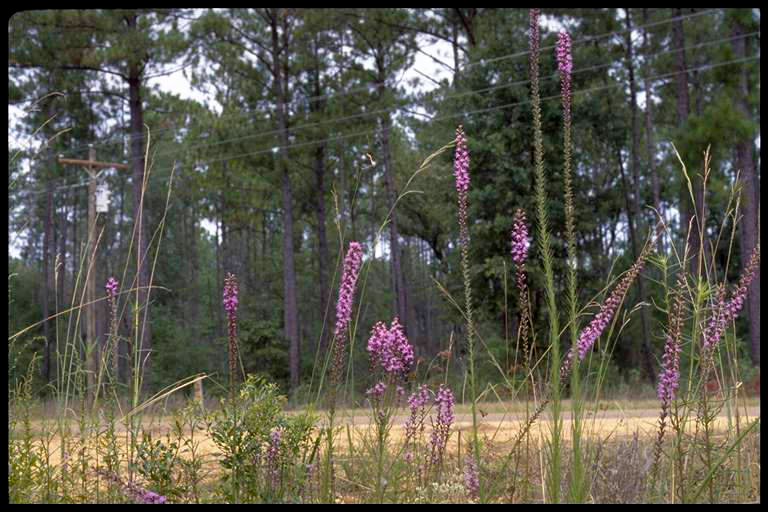 The bright purple spires of the Blazing Star appear in mid-summer amidst the sead heads of grasses.